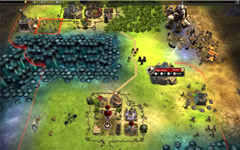 This “Empires” patch focuses on making the AI more dangerous and diverse. 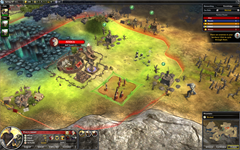 There are more than just monsters roaming the world, and the AI players have been updated based on feedback from the fans to be more effective in both strategic and tactical mode. 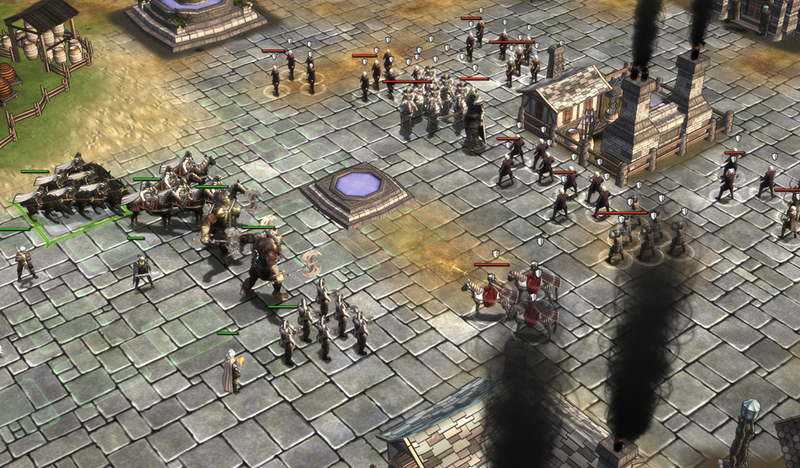 AI players are now more adept at using their magical power, building more lethal armies, protecting their territory, pathfinding and more. 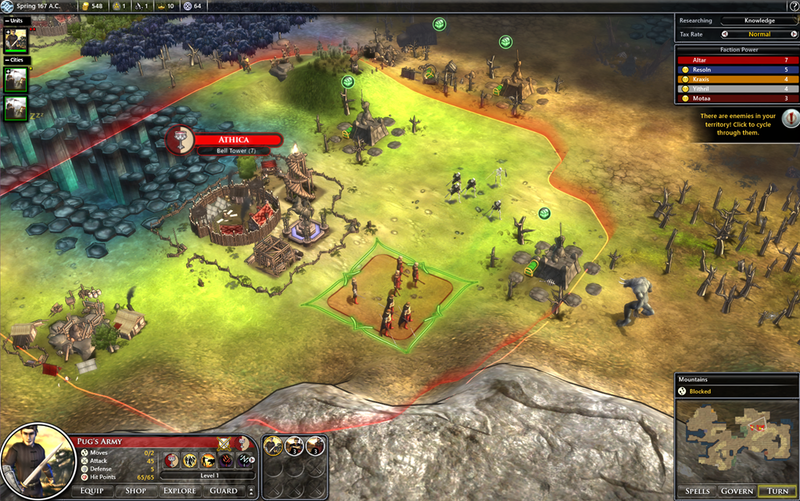 Even the AI for the random monsters has been improved, allowing them to better guard their lairs against adventurers. 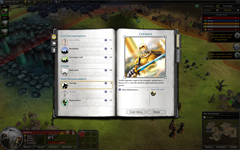 In addition to the vastly improved AI system, the 1.3 update includes updates to the Hiergamenon to bring all its entries up to current rules, UI improvements, gameplay balance updates, bug fixes and a new spell called Ineluctable Vision. Download the update using the Steam client today! Most excellent. As a spoiled and long time Stardock game purchaser/player I expect the amazing continued support and expansion of Stardock games (and I buy the DLCs to show my love) but I still wanted to say that I appreciate the way Stardock takes care of their games and fans. You guys are the best. good news everybody there's a new patch for Legendary Heroes! We already have the definitive answer on this. It would require re-programming the entire tactical battle system, so it's very unlikely to happen. But I applaud your attempt at SUPER-LIMINAL messaging. Thanks for the final versin of this patch. Great improvement once again. Do I need to start a new game to see some or all of the changes? Yes, your old saves will work but to see all the improvements and eg the Eluctible vision spell, you need to start a new game. For some reason the Steam Client is not auto updating my copy to 1.3 --- I am still running 1.2. Have tried restating the game, verifying my cache, etc. all to no avail. Is there any other way to obtain the 1.3 patch? I've started a game of 1.3 and so far it's looking good. Many of the texts one can read in the "Research Breakthrough" window are from a previous iteration of FE, or at least a year or more out of date. The last one I got and can remember well enough was for Entertainment, which lists techs it offers that are not in the game anymore. Hotseat wouldnt require almost no programming. I can understand that this would be challenging, but I can see a a different game mode with an army creator (Points based like the Sovereign creator) and allow you to pit them against AIs or other players. I can't see that require 'too' much additional programming, however it does seem like it would be better suited in a full expansion rather than added in a patch. The fheroes2 mod for HOMMII has a Battle Only mode. It is a fun little mode when you decide what the two sides have in terms of troops and can battle against the AI where there is no Strategic Mode, just one battle. Even if you don't implement a full multiplayer mode because of constraints initially with WoM, a hotseat mode for full game and for Battle Only (or whatever you want to call it) would be a welcome inclusion and shouldn't require too much extra programming. Hotseat mode is on the one computer, so you just need to give messages when its time for another player to have a turn (either a full turn in full game, or a unit turn in Battle Only or full game tactical battles).